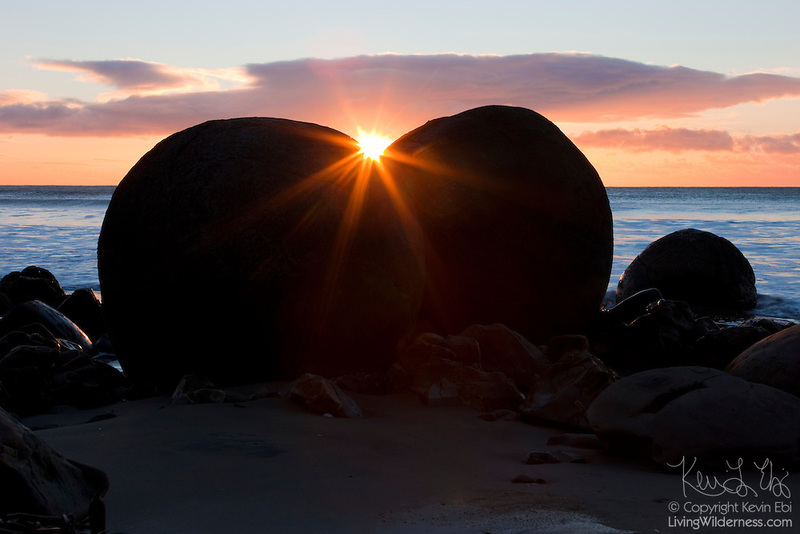 The rising sun shines between two of the Moeraki Boulders, located at Koekohe Beach along Otago coast of New Zealand. Dozens of large, almost perfectly spherical boulders line the beach. About two-thirds of the rocks range in size from 1.5 to 2.2 metres (4.6 to 6.7 ft).